When choosing material for my adult students, my first consideration is whether the piece will sound good played slowly. Most adults practice at a slow tempo for quite a while. If the piece is full of passing dissonances that might sound like wrong notes, adults often become confused and aren’t sure whether they’re playing it correctly. The next thing I look for in a piece for an adult student is emotional depth. Does this piece say something complex enough to sustain an adult’s interest through the sometimes-lengthy learning process? One of my students, Sandy, a successful microbiologist, explained, “I don’t want to play pieces that I can imagine a little kid playing. I don’t want anything playful. I want something with real emotional depth. I’m attracted to pieces in minor keys because they stir up more turbulent emotions.” Adult students look for something that reflects their own emotional maturity. I search for pieces that appeal to my own emotions. I screen for details like melodies with unusual intervals and harmonies that use suspensions and rich chords. Here are some pieces that have worked for my adult students. 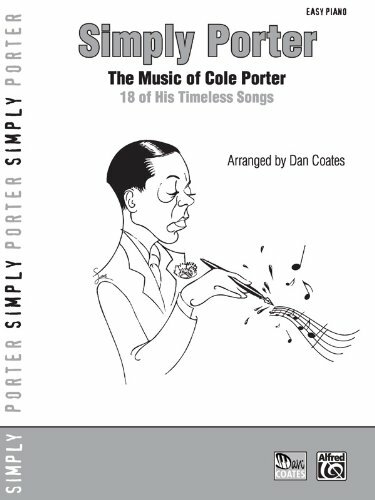 I've had great success with Simply Porter, a collection of Cole Porter favorites arranged cleverly-arranged by Dan Coates. My student Judith, (who happens to be the Dean of the School of Education at UC Berkeley - a very sophisticated learner) loved learning these pieces. She'd always loved Cole Porter and was thrilled to find some arrangements that sounded great and weren't beyond her reach. She'd previously bought another huge Cole Porter book and was disappointed that it was just too difficult for her. She also enjoyed learning No Worries by Melody Bober, a lightly jazzy, optimistic three-page piece of fun. Streabbog: The Orphan The continuous eighth notes in the left hand support the melody in the right hand. The melody is soulful without being sentimental. The left hand is written so that blocking the chords is quite easy. It has enough emotional content and interest to keep an adult satisfied throughout the learning process. This piece can be found in Piano Etudes Level 5 - one of the most useful books I've taught. I can't keep enough copies of this perfect collection of early intermediate etudes in my stock. 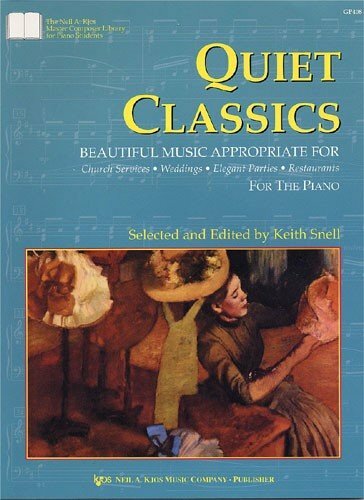 It's also included in the Essential Piano Repertoire Volume Five. I gave the piece Twilight from Elissa Milne's Little Peppers to my student Rich, a hip Law Professor from Stanford University. He was thrilled with its cool, jazzy sound. Here's a little snippet of the piece to give you an idea of its level and flavor. He inspired me to write Still Blue - the first piece in Attention Grabbers Book Three. Here's my student Leo playing it. Popcorn Clouds is in Attention Grabbers Book Three. He'd recently learned Popcorn Clouds, another piece from that book. I was surprised at how much he enjoyed it. The first week we did the Preparing to Play pages. (There are free Preparing to Play pages for all the Attention Grabber Three pieces here) and then moved on to the piece itself. If you have a more advanced student, I cannot recommend the two Pepperbox Jazz books by Elissa Milne highly enough. Here's a performance of my student Barbara, age 82, playing Dreamtime from Pepperbox Jazz Book Two. She learned almost all the pieces from both books this year. Quiet Classics is the most useful book in my studio. First, it's organized into "sets" so one can use it as music for church services, weddings, elegant parties or restaurant gigs. The key-relationships and transitions from piece-to-piece are seamlessly planned. Second, it includes almost all the best-loved classics that adults want to play. I give a copy of this book to almost every adult student as soon as they've reached an early intermediate level. Since there are recordings of all the pieces, they can use those to help them learn the pieces they love that might otherwise be beyond their reach. 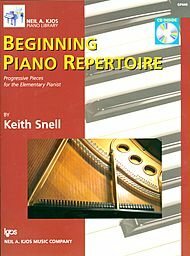 For total beginners, or adults returning to lessons later in life, Beginning Piano Repertoire and the other books in the series are extremely useful. The presentation is clean and simple, with no art. I've had success with The Bridge to Forever which I wrote for my student, David, on the one-year anniversary of his father's death. It's a serious, lovely piece that students of all ages enjoy.